Matthew popped the question while on a backpacking trip through the Enchantments. Megan had set up the camera for a self-timer photo, and the next thing she knew, the camera was taking a photo of Matthew down on one knee! Together, they love bouldering around the Pacific Northwest and spending time together in the great outdoors. This past fall they went to Africa together and summited Kilimanjaro! 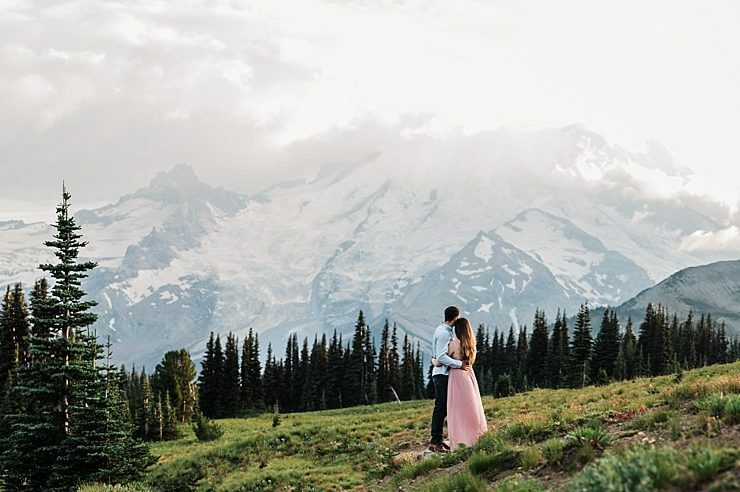 Matthew and Megan were winners of my Adventure Session Giveaway last year and decided on fall engagement photos along Highway 2 near the Stevens Pass area. We went to several spots where they boulder together and found sweeping mountain views of Mt. Index and the surrounding Cascade peaks. The air was crisp and clear and we couldn’t have asked for a more perfect day in the PNW. I loved being able to capture their love in locations that were extra special to this couple. Congratulations you two, and I can’t wait to photograph your big day in August!